Happy Thanksgiving dear bloggy friends! I am looking forward to a Thanksgiving with my family; although, my brother and his family will not be able to come this year. Like many in our area, they have come down with the flu. I pray that they are better soon! This will also be the last Thanksgiving at the home and farm where I grew up. My parents farmland has been purchased by the county to build a dam for an extra water source. Several years ago, we experienced a severe drought in our area and came very close to running out of water. I know the water source is needed, but I am so sad to see my family's home and land be sold. My daddy grew up on the land and this land and river holds lots of memories for him. This will be a special Thanksgiving for us. On another note, if you have not yet heard, TpT is having a fabulous Cyber Monday and Tuesday sale. I am participating, and everything in my store is discounted 28% with the code CMT12! I am linking up with The 3am Teacher for her Cyber Monday Linky! Click the link below for a list of other great shops participating! Don't miss out on this fabulous sale! I have my wishlist ready!! Here are a few of the items available at my TpT store. Have a happy and blessed Thanksgiving! Vivid Verbs and a Freebie! I love teaching writing, and truthfully, I love it because it is a challenge. This year, I have had to step back and rethink some of my teaching strategies for writing. My students have very little experience this year with narrative writing, so I have had to change my teaching approach. This group of students also has a weaker vocabulary than many groups in the past, so to help improve vocabulary, this week we have looked at stories with vivid verbs. One such story is Arrowhawk by Lola Schaefer. This book not only kept my class glued to each page, but it is also full of powerful verbs! To begin with, I read the first page, replacing the verbs with bland verbs. Then I reread the page with the wonderful verbs the author had written. We then discussed those verbs, their meanings, and how much easier we could visualize the action in the story with those powerful verbs. This idea was inspired by Writingfix.com (http://writingfix.com/forkids/verbgame.htm) (my favorite website!). We then charted the verbs, and I had students to choose 10 of their favorites to use in sentences of their own. We then shared our vivid verb sentences with partners and then with the entire class. Another day I read Appelemando's Dreams by Patricia Polacco. I absolutely adore Patricia Polacco and would love to meet her! She is such a fabulous author and storyteller! I had not read this book; however, until this week, and I must say, it did not let me down. It, too, is chocked full of fabulous verbs! I simply read this book, and at the end of each page, I repeated many of the powerful verbs. We then charted the verbs, just like before, wrote sentences, and shared with partners and the class. Nothing very fancy, but this is definitely what my students are needing at this point. I also created colorful vocabulary cards for this activity that I can't wait to print, laminate, and hang on my walls for my class to use for inspiration in their writing for the rest of the year! These cards are so bright and colorful (inspired by the bright colors of Appelemando's dreams)! Also, they are yours for free! Just click on the picture below and download! I know your students will love this story as much as my classes did! 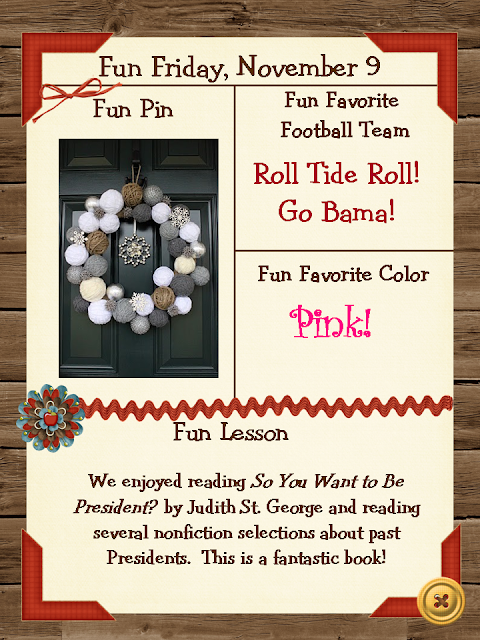 Just click on any picture above to take you to my TpT store to download these for free! Fun Friday, Plural Possessives and Presidents! It is late, but it is still Friday, and it is Fun Friday! I have a few things to share with you about our week in fourth grade. First of all, with the elections Tuesday, we read a terrific book, So You Want to Be President by Judith St. George. ﻿I'd like to take credit for coming up with the idea of reading this book this week, but actually it was the story for this week in our reading series that was scheduled to be read Tuesday. What perfect timing! My class loved this book! They laughed and were amazed at the fun bits of unusual information about our Presidents! Today we even watched a video of this book from http://www.discoveryeducation.com/. If your school has access to this website, it is wonderful! We have also been working on plural possessive nouns this week. 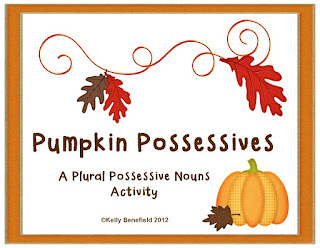 I created cards and an activity to review plural possessives called Pumpkin Possessives. You can find this at my TpT store. Now it is time for Fun Friday. I would love for you to link up! I just love the grays and browns in this wreath! I want to make one for my front door. Yes, I am a Bama fan! My favorite color has always been pink! My living room in our first house was even pink! I had a cream color sofa with pink flowers. Poor hubby! He never said a word about it. I have finally made time to sit down and link up with Farley for her November Currently. I can't believe that it is already November. I love fall, and here in the south, we have had a beautiful fall, though my thoughts and prayers are with all of those suffering from the effects of Sandy. It brings back memories of April 27, 2011, and the tornado outbreak here in the south. That day was surreal for many of us. Thankfully, we had no damage, but many around us did. 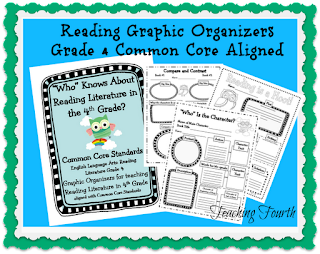 I have also created a new graphic organizer for free! I can't believe how well my TpT store is doing, and this is just a way to say thank you to all of you bloggy friends as well as TpT store friends! 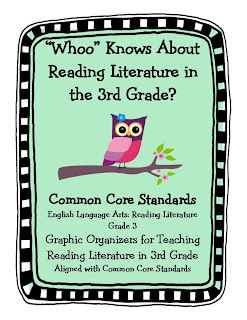 Just click the picture above to take you to my TpT store and this free item! 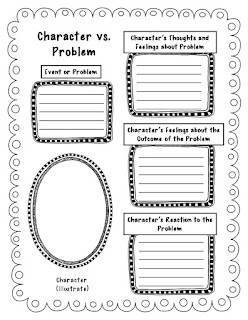 If you like this graphic organizer, I have several others that you might enjoy as well at my store!